OK! I will do that. Fantastic – as you say we (the ones that have heard of him) wonder why more people have not heard of him. I was in a band in the 90’s and we covered Little Fishes and sometimes other songs from Grubby Stories. Anyway thanks for putting this up – I have no access to my vinyl so have not heard it in an age. 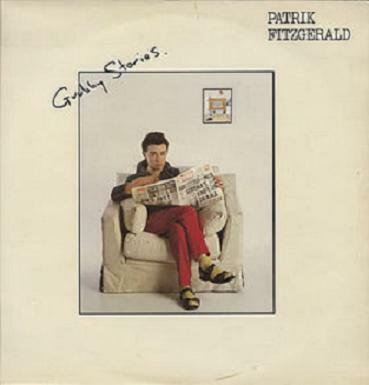 I am really happy to find this page like every one else am amazed that the world doesn’t know of Patrik Fitz I have known that name for 30 years and have really enjoyed hearing the album again as my tape wore out b4 CD’s were invented so your MP3’s are so cool and have now been posted to my facebook page for all my m8’s to listen to as most of them are fans!! Thanks George! PS, your website link doesn’t work. If you were a cleverly disguised spammer, you missed. But if you weren’t…yes, the Fitz does rule.